"Now Boarding" - those with tickets to sit within our sun-soaked WestJet Premium Zone! 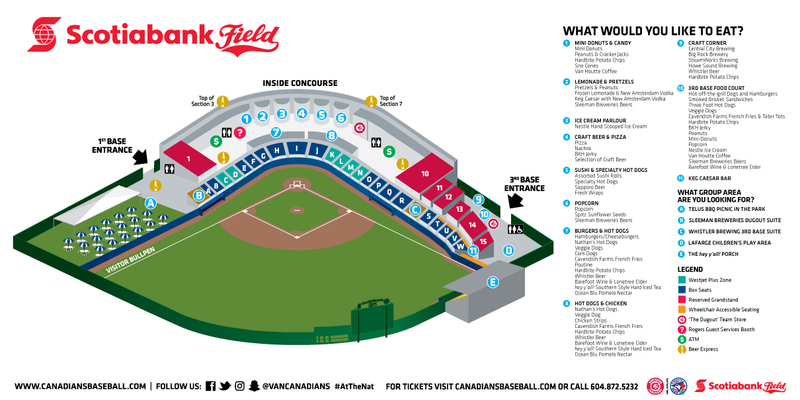 If you're looking to catch a Vancouver Canadians game this season and want to watch all of the excitement from some of the most comfortable seats in the entire stadium, then secure your seats within the WestJet Premium Zone and cheer on your hometown C's!. Fans sitting within the WestJet Premium Zone not only sit right on top of the action where you may even feel a breeze from a hitter's big swing, but you'll never miss a minute of the action! Unique to the WestJet Premium Zone, spectators seated in this area receive in-seat food and beverage service with a full menu to choose from. Your ice cold beverage and piping hot foot-long dog never tasted so good!